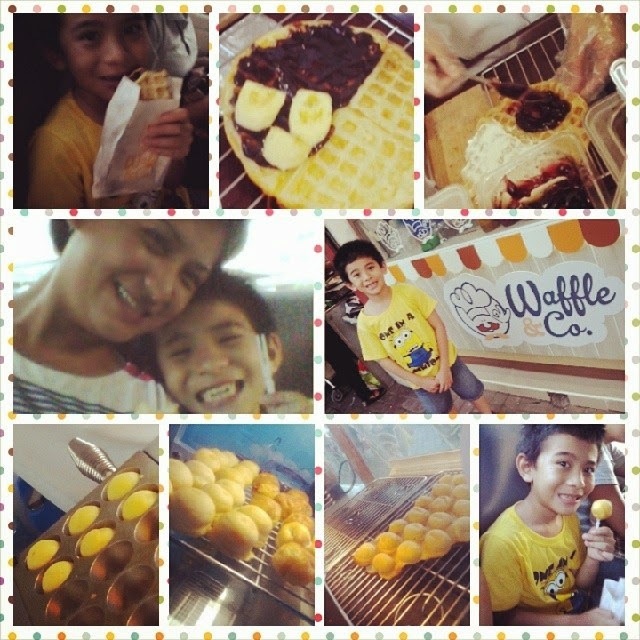 Home B food Waffle and Co.
My son and I had a small date a few weeks ago and we chose Waffle and co. I liked their idea of sandwiches and waffle balls. I loved the price most because it is really affordable and Moms like myself won't flinch upon seeing the bill. We got 2 sandwiches and 2 packs of waffle balls plus one big drink and it didn't even cost more than Php150. I love it! B got the chocolate and banana while I got the blueberry cheese. I look forward to trying out the other flavors in the future.